Here are some of the many CRM options worth checking out. Heading out to look for a CRM solution for your business? 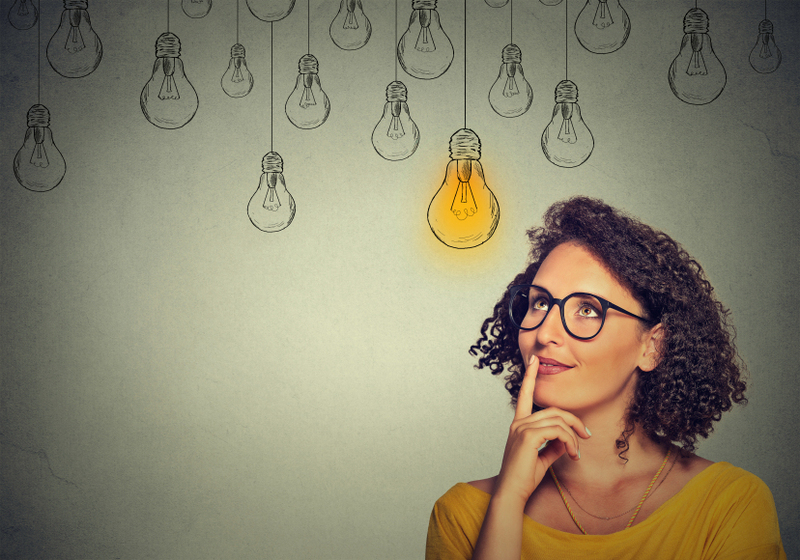 In this post, we’ll give you a short list of CRM options to evaluate. But first—an intro. What is CRM? Customer Relationship Management (CRM) is the term that refers to the management of prospect and customer interactions throughout the customer life cycle. CRM systems offer helpful features such as opportunities management, automated marketing email/promotion, integration with marketing materials and inventory controls. 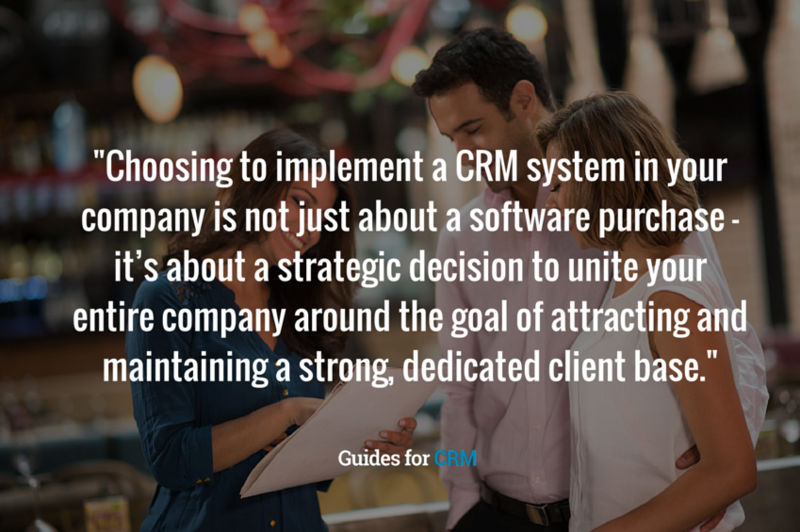 Choosing to implement a CRM system at your company is not just a software purchase – it’s a strategic decision to unite your entire company around the goal of attracting and maintaining a strong, dedicated client base. Salesforce, a comprehensive CRM solution, is one of the CRM brands with the strongest market following. The company’s wide array of cloud-based tools are perfect for companies that want all the CRM sauce minus the hardware or software. Because everything is in the cloud, CRM users can access their customer data from anywhere as well as perform various functions like account planning, report writing, and trend analysis. See Sales Cloud’s complete set of features here. Pricing usually ranges from $60 to $125 per month per user, but it depends on which features are included in the package. MS Dynamics makes good use of your existing MS tools such as Office and Outlook. You can get Dynamics CRM as on-site software running on the intranet or as a cloud subscription. If your company has a large investment in Microsoft productivity tools such as Outlook and Office 365, Dynamics CRM would be a good fit. Microsoft Partner Channels provide sales and support. Thanks to the seamless integration with Microsoft Office and Outlook, data can be shared and integrated among your MS tools for better documentation and reporting. As a server installation, Dynamics CRM is priced annually at around $1,100 per named user and $5,000 for the server software. For small companies, ZohoCRM offers a stripped down basic version which is free to use. Zoho also has a pack of other cloud services and a host of partner-developed upgrades to take care of your extra CRM requirements. If you already use other Zoho services, ZohoCRM should be very easy to deploy and build upon. Zoho as a suite of products may not be as strong as others that are on the cloud (e.g. Google Drive/Google Docs and Microsoft Office 365), but it has more than adequate online help, support, and documentation that can walk users through implementation process to troubleshooting. Also, if your company makes use of social media, Zoho CRM can automatically link contacts from Twitter and Facebook. Social media updates can also be seen on the dashboard. This is a particularly noteworthy CRM option that is easy on the budget. ZohoCRM is free for up to 10 users. The Enterprise version costs $35 per user per month. Insightly offers affordable CRM services, ranging from freeware (for a 3-user setup) to paid packages ($99 per month). Like Zoho and Dynamics CRM, it can also integrate with other cloud products like Google Apps and Google Drive and it can also work well with Microsoft Outlook/Office 365. One distinct advantage of Insightly lies in its project management capabilities, which many other CRM packages lack. With more than 300,000 users, Insightly has one of the largest user bases, thanks to its intuitive design and user-friendly interface. A mature product with a hefty price tag, NetSuite is another flexible cloud-based system which can integrate with other products. Besides providing the standard CRM services, NetSuite also features purchase order management, inventory control, e-commerce, and human resource management. This makes NetSuite a good candidate for companies that want to have a wider scope in their CRM automation. NetSuite users can expect to pay anywhere from $1,500 to $3,500 per month depending on the number of modules included. Sage CRM is designed for small to medium size businesses. It is easy to learn, install, use, and manage. As a groupware, it can help teams manage opportunities, calendars, work flows and tasks. It also taps into LinkedIn and allows pooling opportunities from this popular social networking site. Furthermore, it has Windows 8 and iOS apps which is perfect for sales teams on the go. Sage CRM uses a rental model for its pricing—going at $25 to $45 per user per month. Nimble is a great tool for tuning in to your customers’ pulse. Its impressive integration with social media makes it a great CRM choice for brands relying on signals. Its simple interface allows users to view social media audience data and stats all in one glance. If you’re looking to take this a step further and provide your team with daily updates and reminders without the email work, then Nimble’s Daily Digest feature should keep your team members on track. Nimble is also perfect for collaboration, thanks to its seamless work flow management feature. The Nimble Business Plan costs $15 per user per month. Feature integration is Infusionsoft’s strong suit. As a CRM package, it bundles management, marketing automation, and eCcommerce functions in its online system. This software’s cloud functionality allows users real-time access to data from across different devices and from different locations. With automated lead capture and email follow-up, sales can easily keep in touch with prospects. Infusionsoft is also a nice choice for eCommerce. This CRM can help online stores manage order fulfillment, inventory control, and customer billing. Also, if you want to gain insights on your customers’ purchase trends, this CRM can help you do just that. Pricing for Infusionsoft packages start at $199 per month (3 users) up to $599 per month (10 users). ContactMe is the CRM for sorting out contact lists to a T. With the contacts as the main touchpoint, CRM users can categorize each customer and tag them with notes, appointments, and reminders. ContactMe also allows you to do more with your data through its robust reporting tools. ContactMe is free for personal use, and up to $7.42 per month for the BizPro package. Batchbook is a CRM built for small businesses. After setting up your account, you can just drag a list of contacts and start getting your hands dirty. Batchbook can also integrate with most of the tools that you may currently be using. Some of its features include contact detail management (which fetches social media data really well), advanced search, list building, and reporting tools. Batchbook also lets you keep a communication history with customers. Within the CRM ecosystem, members can attach notes, chat transcripts, and email threads to the customer profiles. Other users also have access to this data, which means greater coordination among your teams. BatchBook starts at $20 per month for unlimited users. These are just 10 of the many tools that you may want to employ for your CRM strategy. This short list is just the start, so take the time to learn more before you make a commitment to any technology. Look around. Ask your peers about their CRM experiences. Take trials with your team and see which tool they like best.